My husband and I have now been married for a little over six years. A lot of things have changed since the day we said, “I do.” We have had our ups and downs. We have welcomed three beautiful children into our lives and gone through a deployment. Right now, life is busy! Between his work and school and my business and homeschooling the children it is unfortunately easy to put our marriage on the back burner. 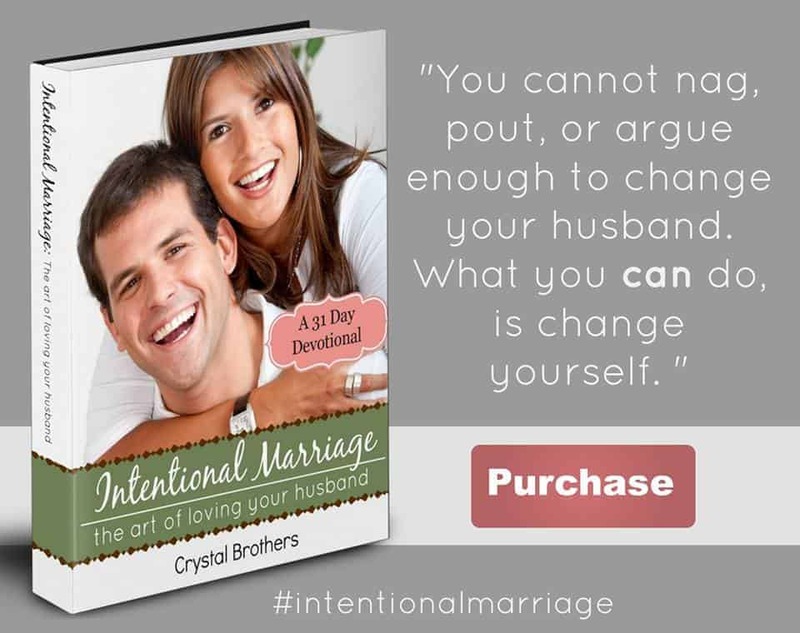 Sometimes you just have to be intentional with your marriage! If you do not nourish your marriage, it can wither. 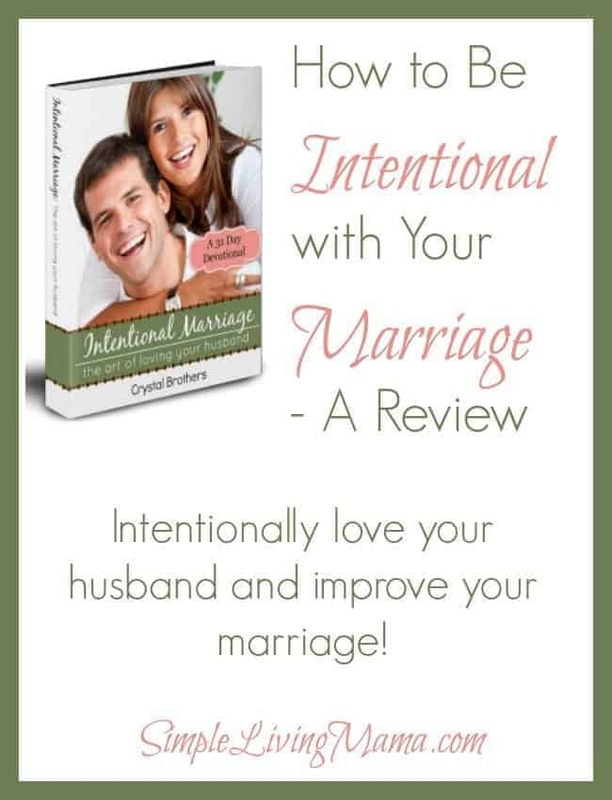 I have read Intentional Marriage – The Art of Loving your Husband and am beginning to put the challenges into practice in my own marriage. 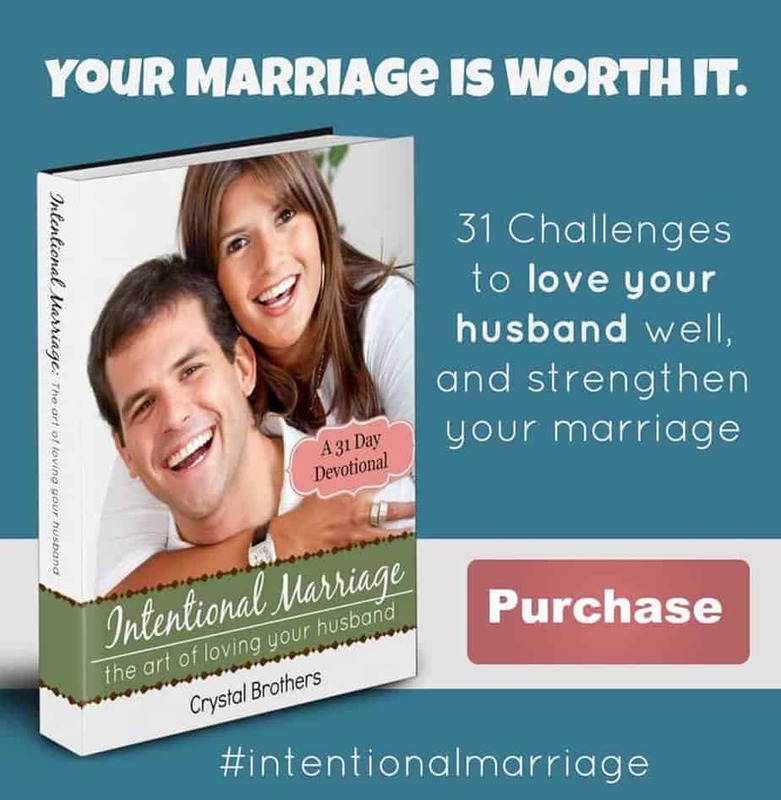 For 31 days you will have a new challenge each day that will help you love your husband. She also asks a question and gives you space to reflect. 31 Daily readings, plus a bonus devotional to inspire to you keep going. 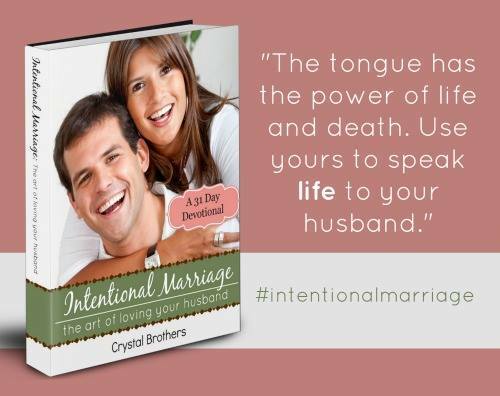 Each daily reading includes a specific challenge to inspire you to be intentional in loving and serving your husband. 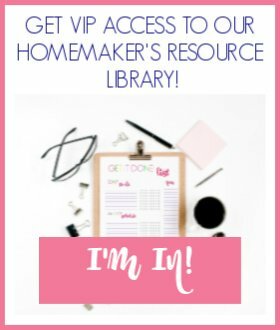 Bonus resources include: 101 Ways to Bless Your Husband; 101+ Free/Cheap Date Night Ideas; and 101 Conversation Starters. 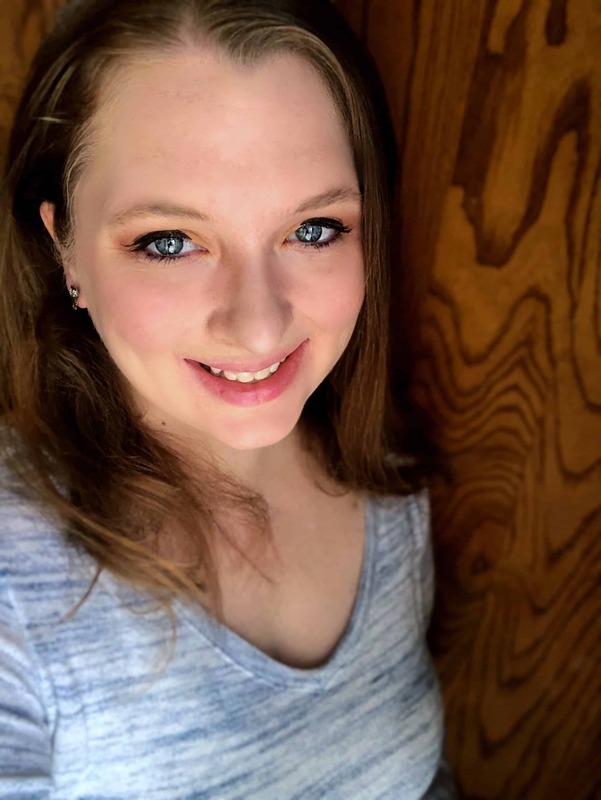 Crystal will help you see ways that you can make your husband happy and improve your marriage. The challenges are little things you may have forgotten to do over the course of a few years and the hustle and bustle of running your home. There are things you may have never thought to take the time to do. Read this eBook, devote 31 days to following the devotional, and see an improvement in your marriage! I love the resources, too! They are all great things you can do in your marriage today!